November Box Top winners – Ms. Hayano’s and Ms. LaForge’s Cougar Connections! Congratulations to Ms. Hayano’s 6th Grade and Ms. Laforge’s 8th Grade Cougar Connections classes for turning in the most Box Tops in their respective grades for the month of November and earning treats for their classes! Thank you for clipping and sending in Box Tops! 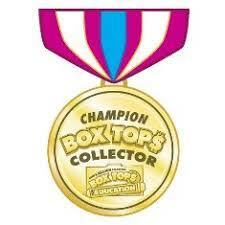 Box Tops 4 Education gives Hauser PTO cash for every Top we send in. The December contest has already begun so clip those Tops! Please send un-expired Tops in a plastic baggie or envelope with the name of your student’s cougar connections teacher and grade and the number of Tops you are sending in clearly marked on the baggie or envelope.